There are major changes coming into effect earlier next year that the public and Natural Health Product (NHP) industry will see based on the consequences of disregard through a false sense of security and inaction. NHPPA believes that the conversation with Members of Parliament (MPs) must ramp up. They need a knowledge counterpoint, especially crucial in an election year, to see the incompatible outcomes of Health Canada’s proposals and the freedom Canadians should have to access natural remedies of their choice. MPs are getting two messages: (1) Canadians want increased access to NHPs and (2) Canadians want stricter regulation of NHPs (which is inconsistent with increased access). The proposed changes have alarmed NHP manufacturers who have spent the last 15 years getting into compliance with the existing Regulations. They are now facing regulatory uncertainty. An analysis of Health Canada’s plan is to regulate NHPs in the same way as chemical drugs, even though these two categories of products are very different, and is something we think MPs need to understand. 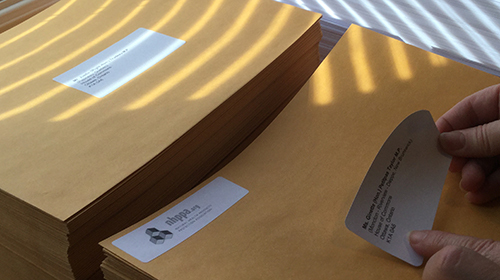 NHPPA printed and mailed 338 individual copies of Shawn Buckley’s Discussion Paper, revised and released April 2018, and a letter to each MP. It is a paper, still relevant today, that analysed Health Canada’s proposals and has been instrumental in educating manufacturers, retailers, practitioners and the public. It has not yet been read by many MPs. There are hard working MPs all across this country who have communication systems in place both in the Hill and in their Riding offices. 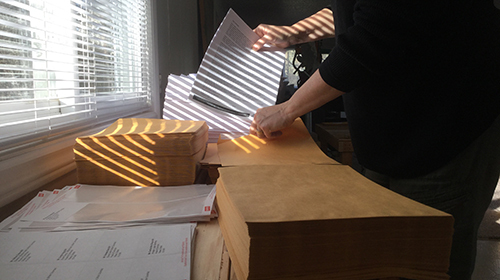 Professional assistants collect and prioritize incoming mail for the MP. 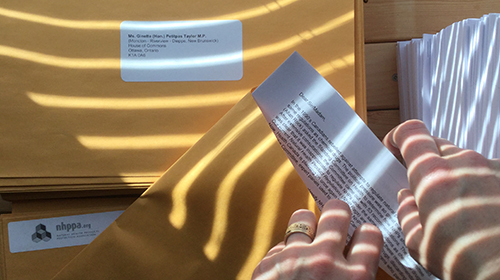 Each incoming piece of mail received by an MP is seen and read. 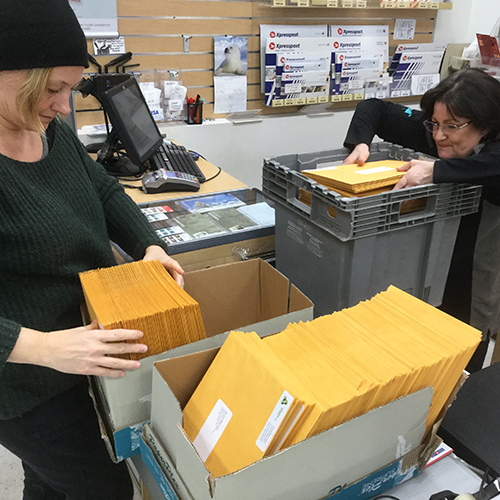 Mail directly affecting the MP’s constituents, meaning the ones received in the riding offices sent in by individuals residing in their constituency, are taken very seriously. Issues that affect constituents in a MP’s riding do matter to them. MP’s assistants are your advocates within the office. It’s like voting. There are cynics who believe that one vote doesn’t matter. That one person cannot affect change. But each voice really can make some noise. And when one is combined with many, the chorus won’t be ignored. When the letters come to both the Ottawa and the riding offices, to every MP across Canada, in a well planned and executed campaign, these voices are heard. And considered. All of this effort, to come together for greater awareness and political action, is well worth it. Researched, written, proofed, printed and set for the send. 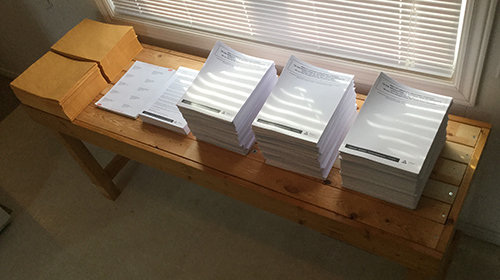 What looks like a table of paper is quite literally hundreds of hours of accumulated work. The Discussion Paper was aptly titled: HEALTH CANADA’S PROPOSED CHANGES TO THE REGULATION OF NATURAL HEALTH PRODUCTS Confirms that the War Was Lost in 2004: We are Now Renegotiating the Terms of Our Surrender. 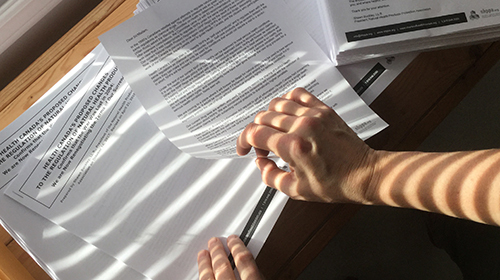 Each Discussion Paper was enclosed with a Cover Letter drawing attention to the most significant grievances held by the those whose life’s work (the industry) and lives (the public) are threatened. Not just physically by the loss of products used for their health, but intellectually through censorship and emotionally through ridicule of belief. An NHPPA staff member with former experience working for MPs at Parliament Hill shared with us how important citizen letters are. Citizen letters, emails, phone calls and visits have tremendous power as the pressure to draw attention is within the riding. We have sent to the House of Commons and will continue education campaigns with an expectation that you will participate in the upcoming weeks. We will need a sustained effort. Remember that within a riding—we are Robin, you are Batman. Free postage to House of Commons MP offices. Both NHPPA and the public can send packages to Parliament without paying postage. 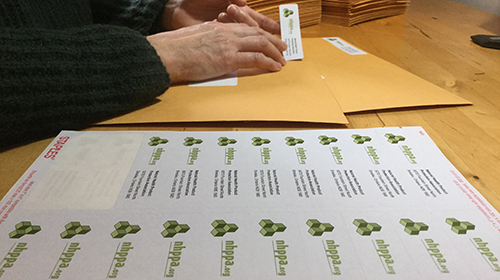 In the upcoming campaign you will be sending two packages—one to your MP’s House of Commons office (free postage) and another to their local constituency office. The entity known as ‘the people’ has the most power. Constituent power carries weight and supports the making and re-making of regulations and laws through which we are all governed. 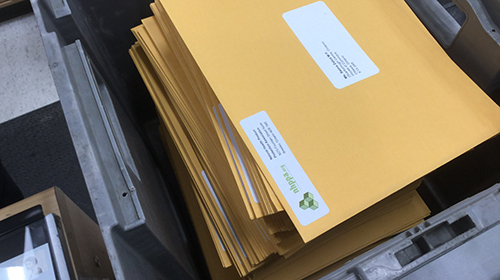 This mailed package will be waiting at the MP offices in Ottawa when they return to work mid-January. We know many of you have taken the initiative already to phone, meet with or write letters to your MPs in the past year to express your concerns (and disbelief) about the new self care product regulations. We get all of your correspondence at NHPPA headquarters. Both via email and Facebook. Your actions to date have not gone unnoticed. We are grateful for every action that you’ve taken so far! Our favourite Canada Post office with our favourite Canada Post employee. Our efforts are always respected and well taken care of! This is step one to kick-off the most important MP education campaign NHPPA has produced in the last few years. The Committee was clear that it was inappropriate to regulate NHPs under the same regulations as chemical drugs. Our current Natural Health Product Regulations (NHP Regs) are the result of these recommendations. Now, Health Canada is planning on once again regulating NHPs as chemical drugs, discarding the work of the Committee, expert panels used to guide Health Canada, and the citizens who participated. More information about the CITIZEN action of the MP Letter and Discussion Paper Campaign is coming soon. Start thinking about your story now. Details of the mass send coming out January 18! We need your help to start, and consistently hold conversations, with our country’s MPs. It is the only way all of NHPPA’s work will have leverage to make a difference. It, quite literally, will be through the NHP industry and you. This action campaign is important to help ensure we have access to NHPs and truthful information about their benefits. We’re excited to kick-off the MP campaign for 2019! Here’s to a meaningful year! Subscribe to NHPPA and join the network so you will get the information you need to take part in our Action Campaigns and all that we share! You don’t want to miss a thing! Social media has become a powerful tool for not only delivering a message, but also creating change. If you have not already done so, head over to Facebook and like the NHPPA page. This is our most active platform for reaching out to our supporters. We regularly post informative articles and updates on what is happening with NHP regulations in Canada. 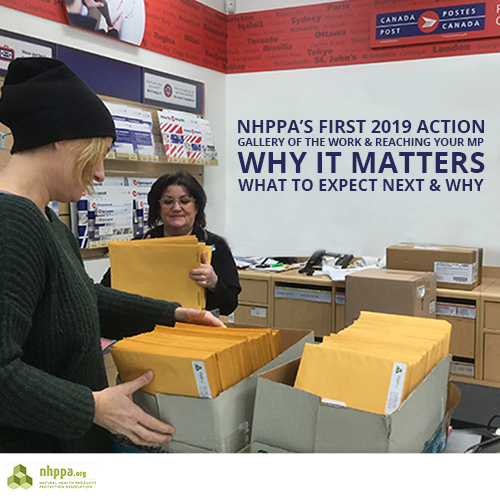 By liking and, even better, sharing NHPPA’s posts you can help create awareness about the continuing challenges that Canadians face when it comes to freedom of choice in health care. You can help create change with the click of a mouse.